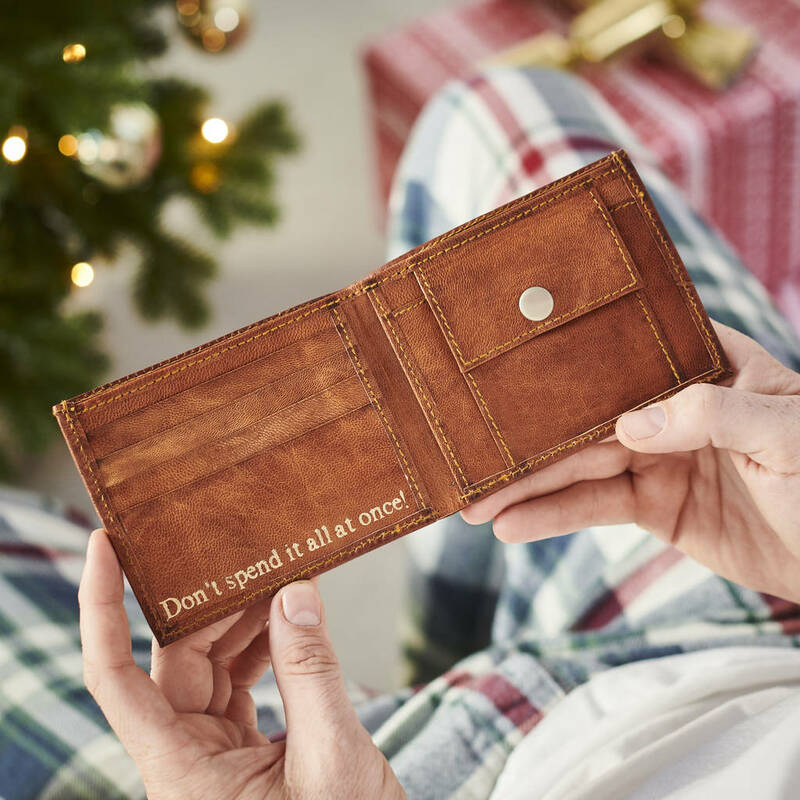 We have handmade this tan leather wallet with our gorgeous distressed leather, its simple but incredibly useful with a place for everything. 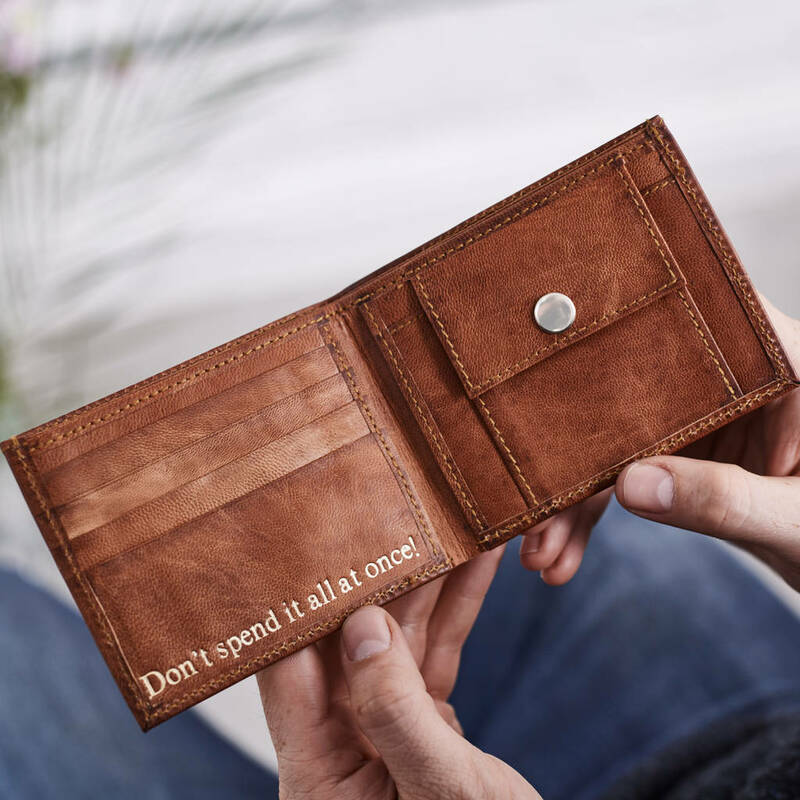 The distressed leather of this wallet will get even better with use, so you will never leave home without it! 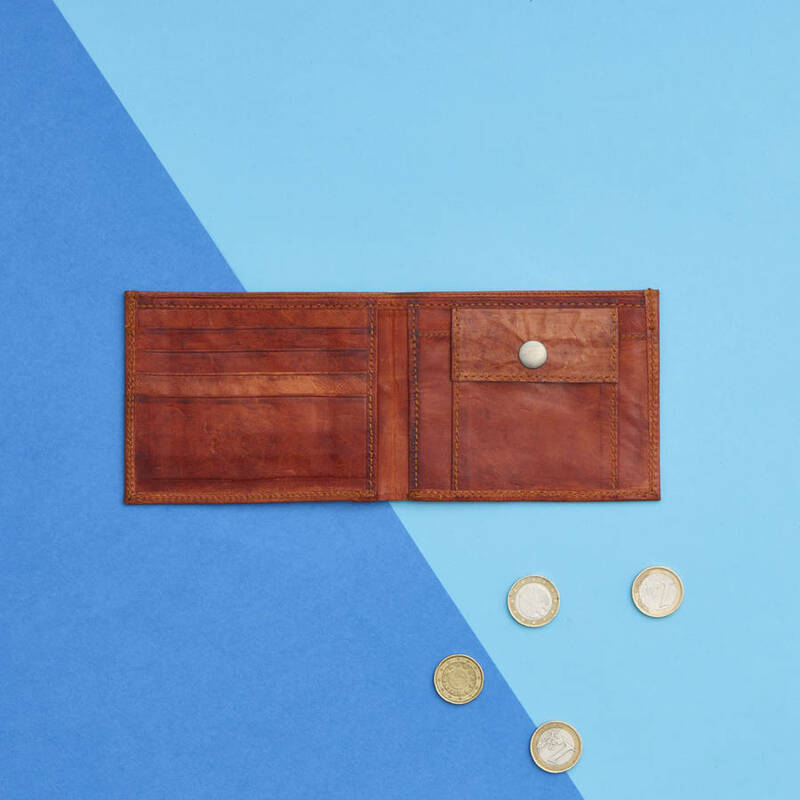 We use hard-wearing leather, which will develop a beautiful patina when ithe wallet is used, which really adds to it’s tactile nature. 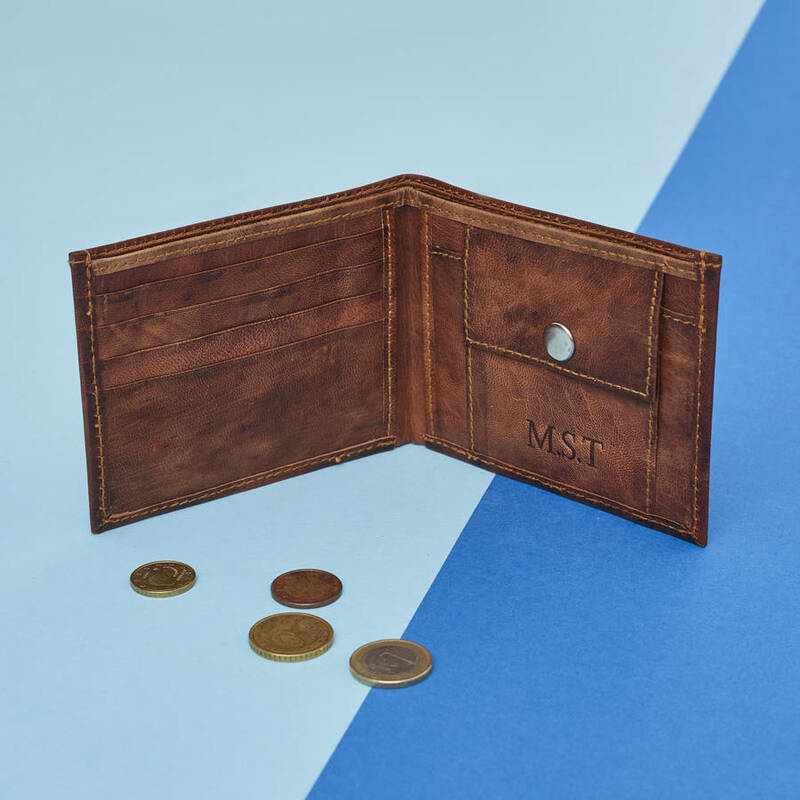 With this design we have added 4 credit card slots (which can take more than 1 card each), note sleeves and a coin section that is closed with a hardwearing popper. 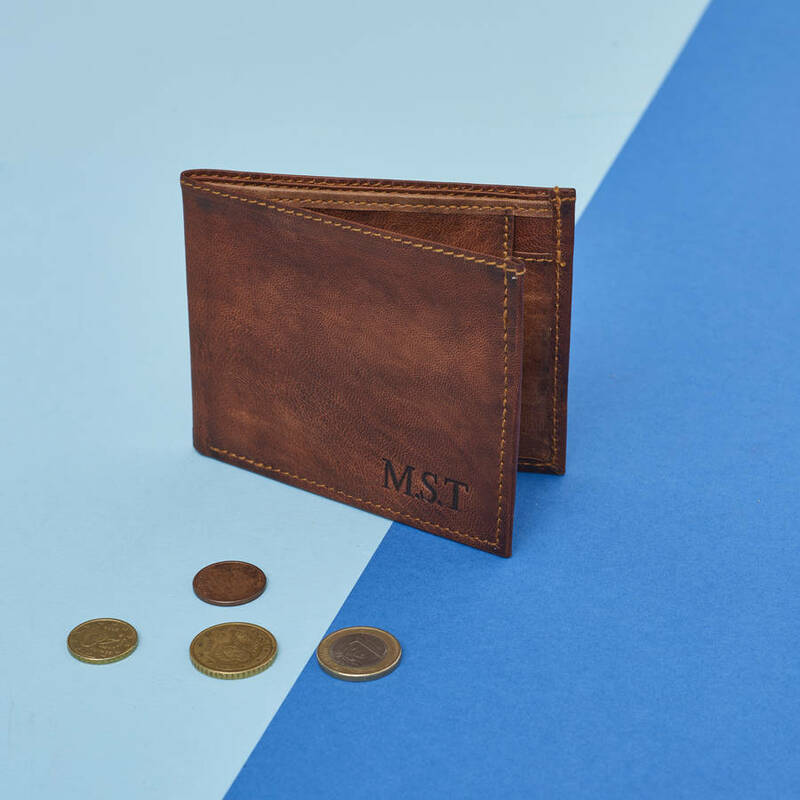 We have designed this wallet to be slim fit so it doesn't feel bulky in your pocket.